The MBR1200B router includes many features found in expensive, enterprise-class routers at a fraction of the cost. With minimal setup and maintenance, including our pre-installed software, it has “right out of the box” simplicity. Below is a list of carrier-supplied modems compatible with the MBR1200B. Cradlepoint’s NetCloud platform includes an industryleading router operating system, an award-winning management platform optimized for cellular, and virtual private cloud networking. 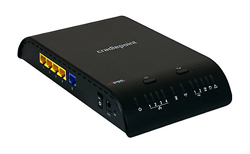 When combined with Cradlepoint routers, this integrated platform of flexible, extensible, and rapidly deployable applications enables an entirely new way to easily build, secure, control, and manage end-to-end private networks in the cloud. NetCloud OS is the heart of our industry-leading LTE routers. Sustained commitment to new features and capabilities ensures your network is always up to date and secure. NetCloud Manager is a cloud management service that enables zero-touch deployment, remote management, alerting, and network analytics for all Cradlepoint routers. NetCloud Engine leverages SoftwareDefined Networking (SDN) to instantly create secure Virtual Cloud Networks over more cost-effective wired and wireless broadband Internet services. 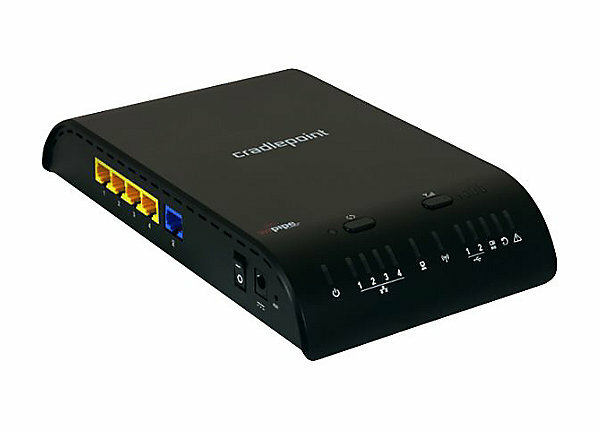 Enhance network security with best-in-class applications from Cradlepoint Technology Partners. Create, deploy, and manage network security applications at remote locations with the Cradlepoint NetCloud platform. Improve productivity, reduce costs, and enhance the security intelligence of your network. Configured in minutes, best-inclass Zscaler Internet Security protects your organization from web-based threats. A comprehensive intrusion prevention and detection system (IPS/IDS) for full defense-in-depth. From initial device deployment to long-term operations, Cradlepoint Global Support offers world-class resources and expertise to keep your network secure, simple and efficient. Cradlepoint offers multiple tiers of support to provide you exactly what you need. Extended Warranties can be purchased in subsequent years, and as a follow-on warranty at the conclusion of the standard warranty period. No gap in coverage is allowed: the new warranty must be in place before the existing warranty expires. *Hardware warranties cannot be extended beyond 5 years from the date of purchase.